For a few years now I’ve thought about writing a biography or historical fiction. I work on who I might research, who I might write about or develop a story about, and eventually set it aside. Next book, I think. But who? 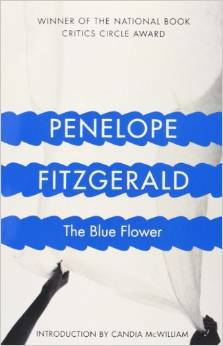 I recently read Penelope Fitzgerald’s The Blue Flower, a novel about the poet Novalis–or rather about the man who became the philosopher poet Novalis. It’s a wonderful piece of work, full of what I think of as sticky images: visuals that I can’t get out of my mind. It’s set in houses and locations that are fundamentally unhealthy; where tuberculosis is the wolf tracking the weakest members of each family, waiting to find ways to strike them down. The story focuses on Fritz, the brilliant student in love with Sophie, a twelve-year-old girl, light and frothy as gossamer. In spite of her age and lack of all that might be valuable to him in a wife, Fritz drives towards an engagement. As Sophie displays signs of illness, he first denies it and later takes her for special treatments, until her sister suggests that he might spare her the painful effort of trying to seem better for him. 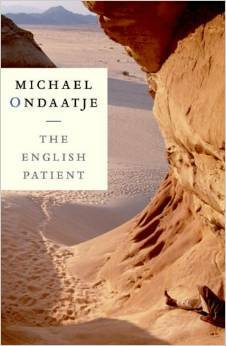 This book feels to me like The English Patient–full of images such as the one of Almásy carrying Katherine wrapped in a parachute, with the white fabric billowing around them against the desert stone. So these are my ideals–marvelous stories about real people, full of sticky images. But who will I write about? 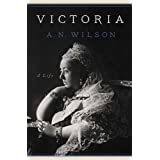 I recently finished Victoria, A Life, by A.N. Wilson. The first biography of Queen Victoria I’d read, I found it full of jaw-dropping surprises. She was not at all what I expected–only her taste in interior decoration fit the stereotype. More than a long-serving monarch and the Widow of Windsor, she was a fascinating personality during times of enormous change. Wilson’s book allows the reader to follow the politics, the history and personalities from the Corn Laws to the shadows of World War I with clarity with Victoria at the centre of the vortex. Strongly recommended.